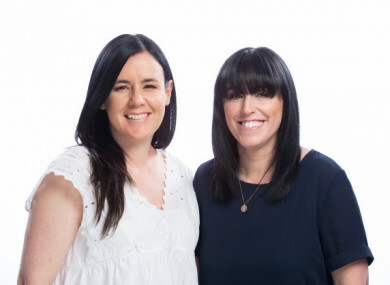 As part of our How My Business Works series, we profile The Irish Fairy Door Company. LIKE MANY IRISH families, Niamh Sherwin Barry and her husband Oisin found themselves struggling to make ends meet during the recession. The couple went from having a nice house and regular family holidays, to the point where work was scarce and they were at risk of losing their home. “We had a really bad time in the recession and pretty much lost everything,” Niamh Sherwin Barry tells Fora. The pair was considering leaving the country in search of work, when a potential business idea changed their fortunes. The concept for the new venture was simple and stemmed from something Sherwin Barry had picked up on a holiday with childhood friend Aoife Lawler a few years earlier. “The beginning of it all was pre-recession,” she says. “Back in 2008 myself and Aoife were in New York and we went to one of those very strange department stores that has guns in one aisle and bread in the other. “There was a section that had all kinds of garden accessories made out of wood, and there were these little doors that intrigued us. We brought them home to our kids and came up with the idea that fairies were going to live behind this miniature door in the house. “Our kids really responded to it. I guess they were our little guinea pigs,” she says. From there, however, it took a while to realise that this novelty could be turned into a business that would pull the family out of the doom and gloom of the recession. Finally, in 2013, Sherwin Barry and her husband set up The Irish Fairy Door Company, along with Lawler and her husband Gavin. “The idea came at the right time – it was just before we were planning to emigrate,” Sherwin Barry says. “But we had absolutely no money, so it was my mum who helped fund the business at the start. Between the two couples, they had a wealth of experience in different areas. Sherwin Barry, who had previously been working as a wedding singer, gravitated towards the PR and branding side of things. “Aoife has an incredible imagination so she’s our creative writer, while Gavin has worked in sales and Oisin in finance,” she says. The Clondalkin-based business was launched in August 2013, selling fairy doors online and at local markets around Dublin, Louth and Meath. The team also created the stories and folklore behind these little wooden doors, and from small beginnings the business gradually started to take off. “I think people liked the idea of encouraging children to go back to basics and use their imagination,” Sherwin Barry says. At first, social media and word of mouth were used to promote the company. However, one particular social media post a couple of years ago helped to boost business further. “I was in the gym and one of my friends rang me and said, ‘Oh my god, I think your doors have just been on Kourtney Kardashian’s Snapchat’, and lo and behold there it was,” Sherwin Barry says. Away from the glamour of California, Sherwin Barry says that it was two appearances on the Late Late Toy Show that really put the company “on the map” at home. The Irish Fairy Door Company’s range, which has expanded into accessories, plush toys and books, is now sold in shops all around Ireland, as well as the UK, US and further afield. However, Sherman Barry notes that the home market is still where the business is really thriving. “Ireland is our bread and butter,” she says. “I think fundamentally Irish people are storytellers, so they really get it. We didn’t have to do a huge amount of explanation when it came to the concept. In spite of this challenge, the company has been making a big push in the US, but this expansion has come at a cost. Last year, The Irish Fairy Door Company posted record revenues of €2.7 million, however its losses more than doubled to over €885,120. “The reason that we made such a loss last year was purely because of the American investment,” Sherwin Barry says. “I think that we’ve cracked it now, it’s just a case of getting the business to where it needs to be. As the company continues its expansion, Sherwin Barry attributes its success to the original idea that started it all. “I think we’ve found our niche,” she says. “Fairy doors are still very much our key product and I think they will be as we push around the world. “But we’ve now transcended the toy space and moved into the wellness space as well. “Helping children with anxiety and worries is a very important space. But if you don’t know what you’re doing and if you don’t get the right advice it can be very dangerous. So we’re very careful about what we create and how we create it,” she says. The Irish Fairy Door Company is still a relatively small operation, with a team of 12 based in Dublin. It also remains primarily a family affair, with three-quarters of the staff related to one of the four co-founders. Still, the business has progressed far beyond that small idea that was discussed around a kitchen table five years ago. Fora’s How My Business Works series is supported by Bord Gais Energy. Email “‘The idea came at the right time’ - How the Irish Fairy Door company came to life”. Feedback on “‘The idea came at the right time’ - How the Irish Fairy Door company came to life”.